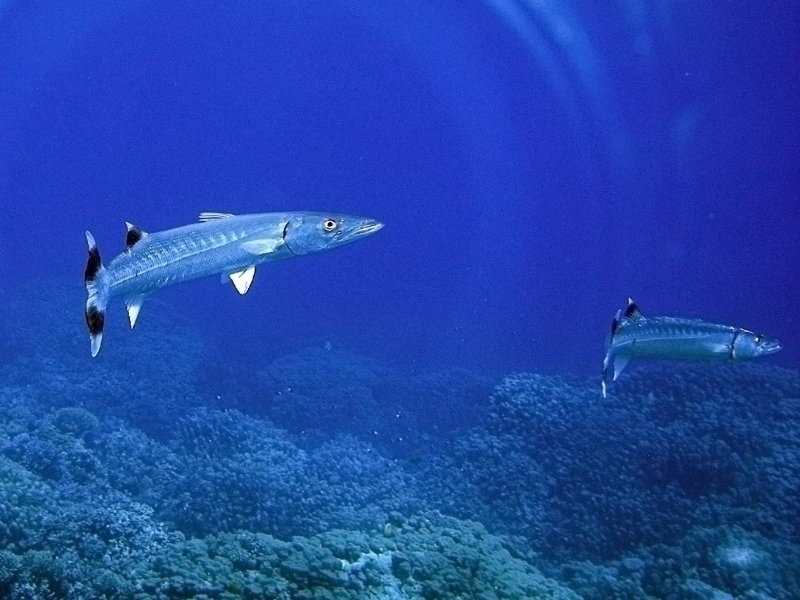 Barracudas are curious, fearsome-looking, usually solitary predators common to reefs & shallows of Florida and the Caribbean as well as in the Indo-Pacific regions of the Red Sea and east coast of Africa to Hawaii, Marquesas and Tuamotos Islands; throughout Micronesia. 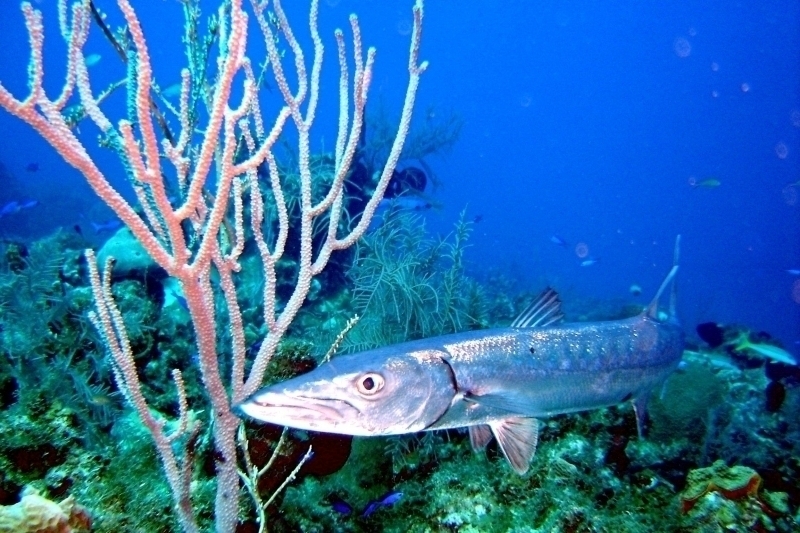 Western Atlantic: Massachusetts, Bermuda and throughout the Caribbean Sea to Brazil. 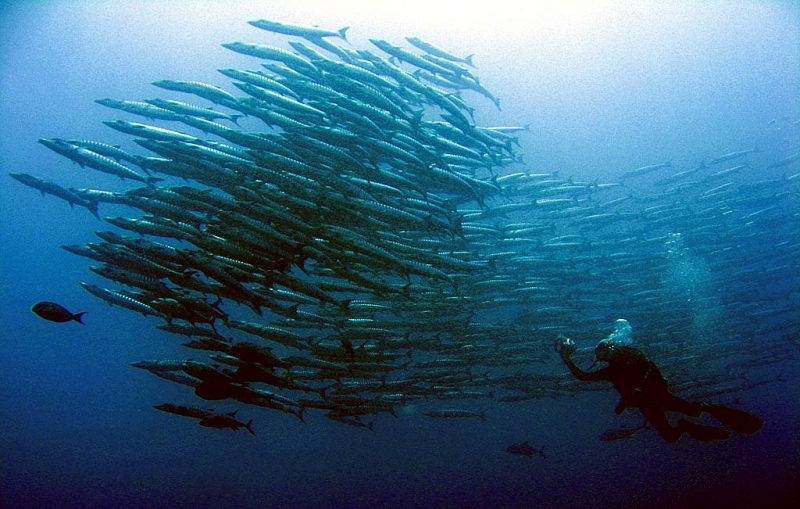 Eastern Atlantic: Sierra Leone, Côte d’Ivoire, Togo, Nigeria, Senegal; Mauritania; St. Paul’s Rocks; Sáo Tomé Island. 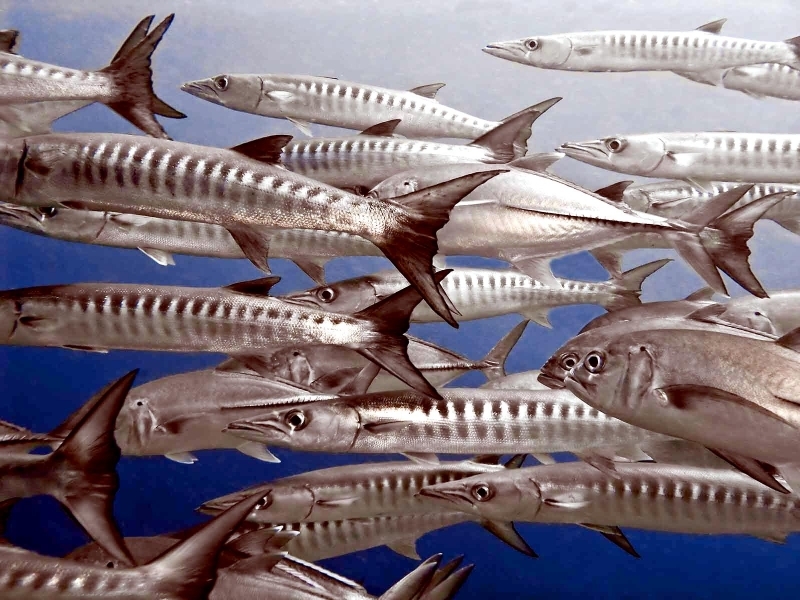 The Barracuda is a large species of fish found in the warmer, coastal regions of the world’s oceans. 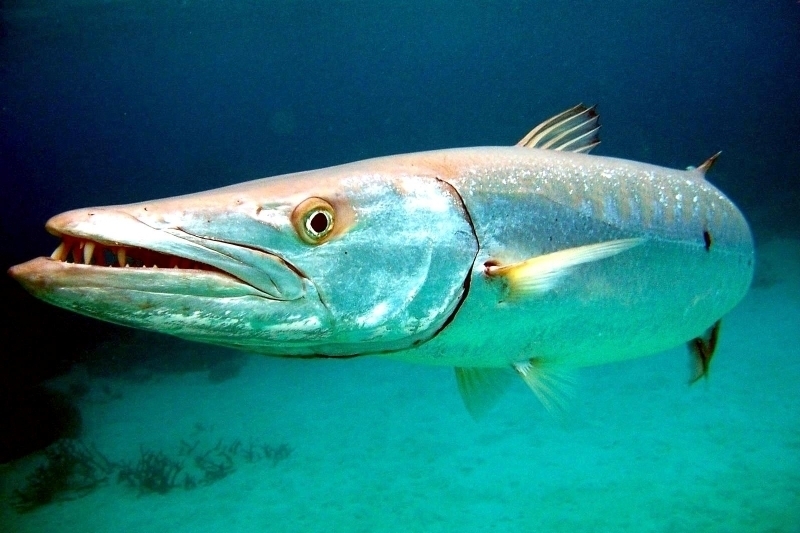 There are more than 20 different species of Barracuda that range in size from less than 50 centimeters to nearly 2 meters in length. 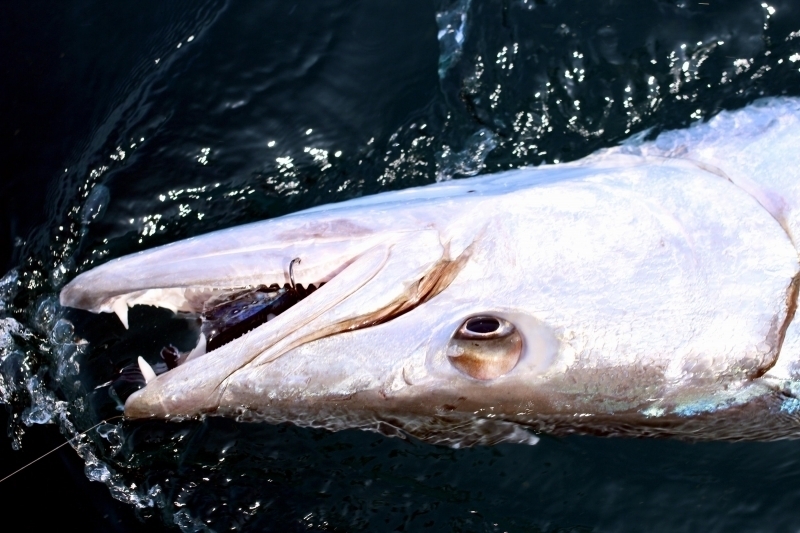 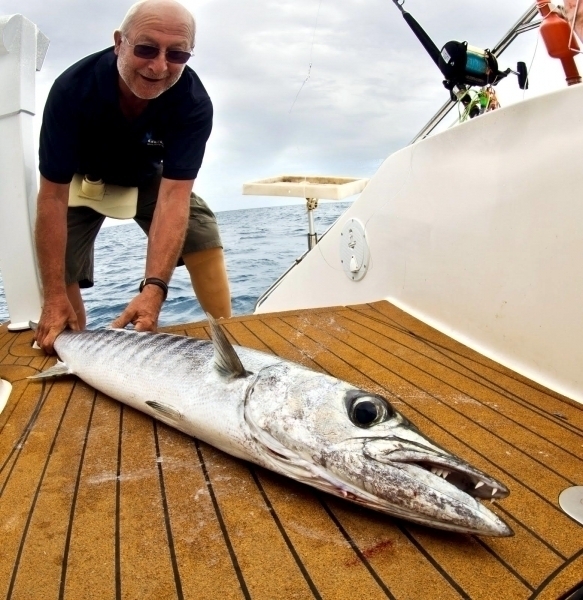 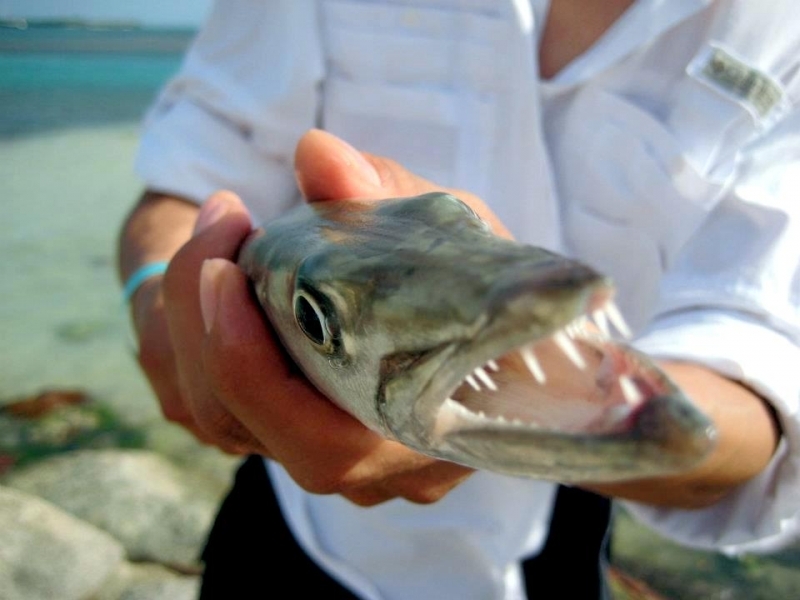 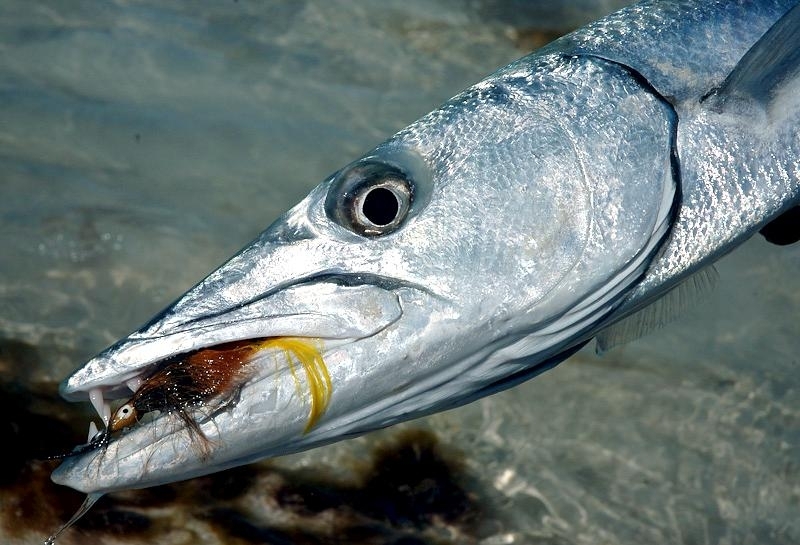 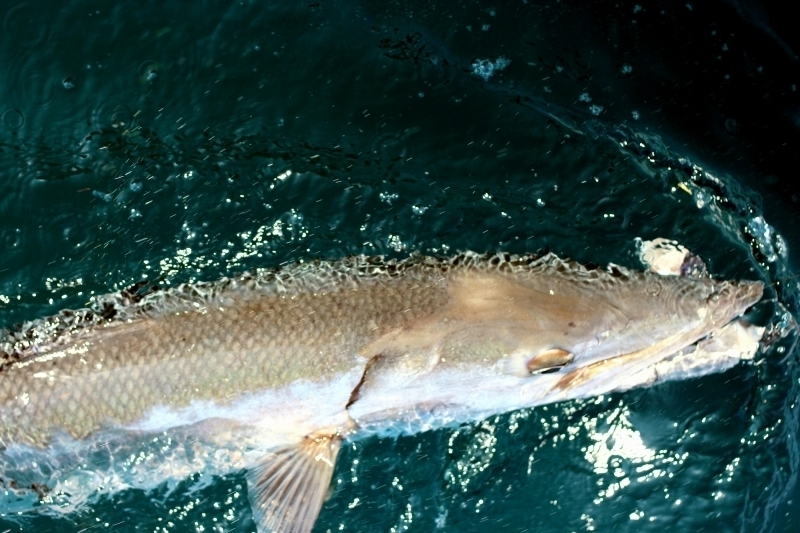 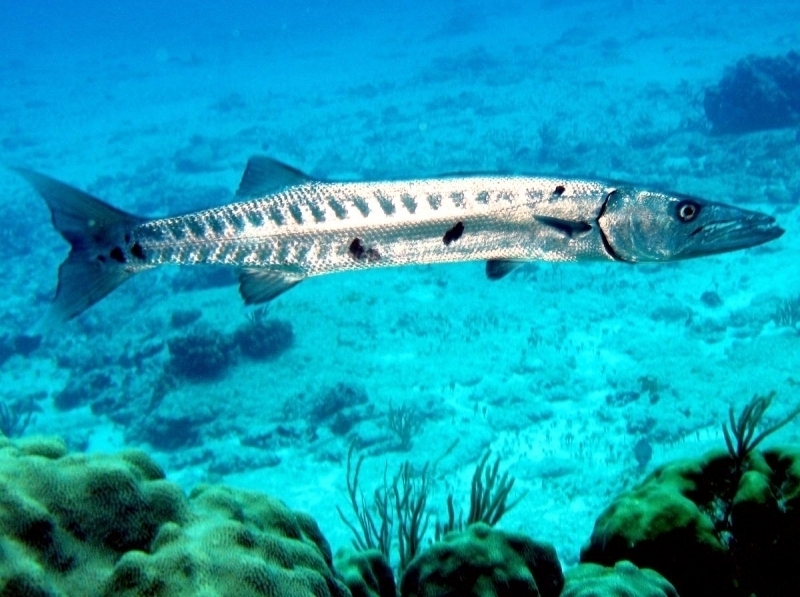 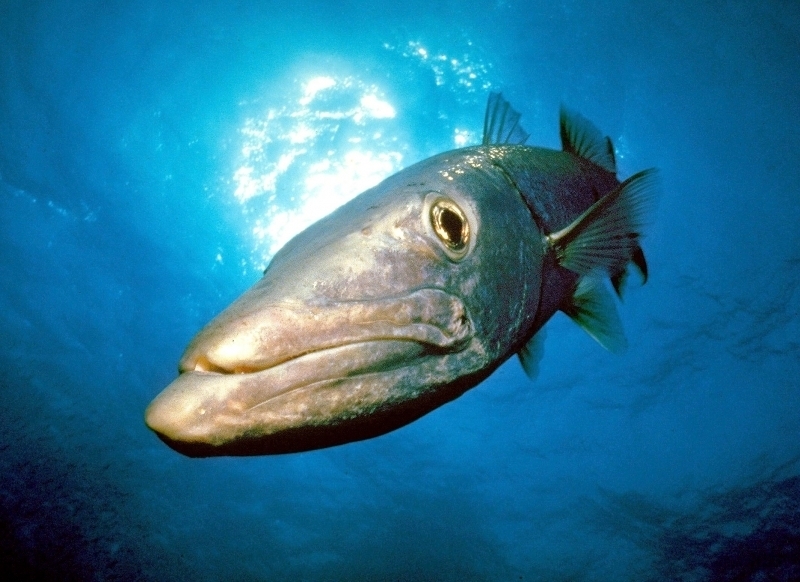 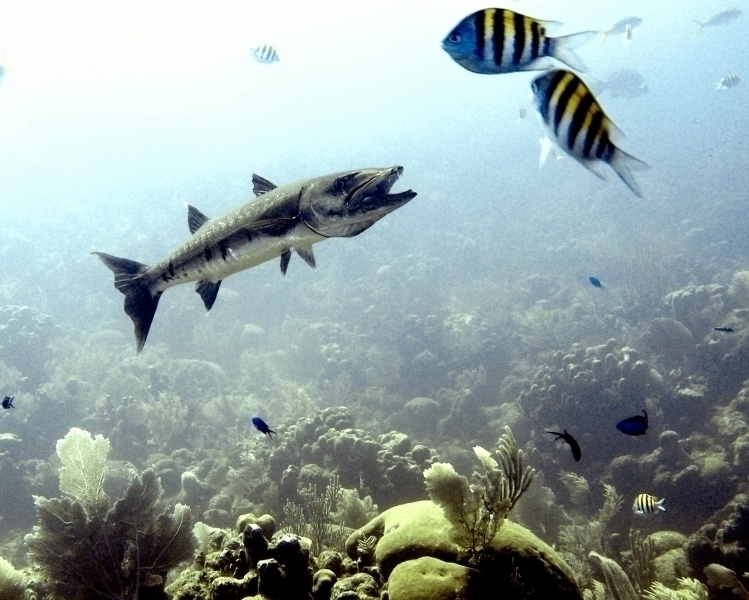 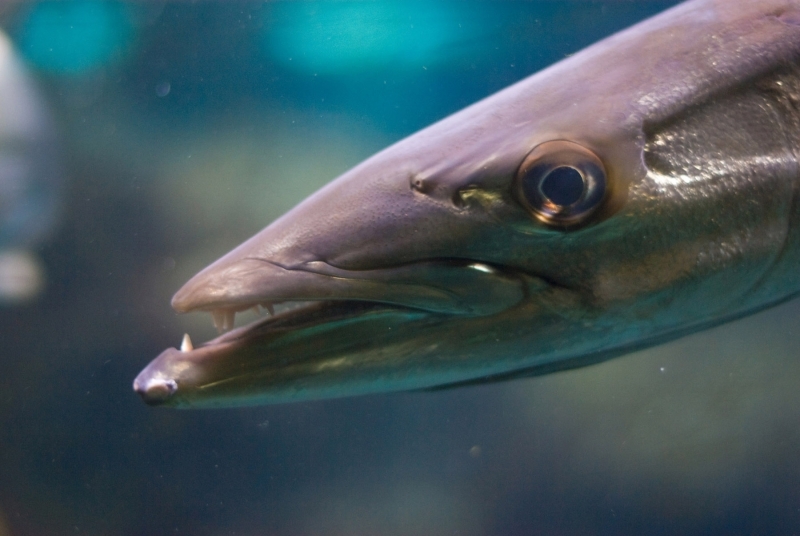 The name Barracuda actually comes from Haiti, where the native island terms bara and couta are combined. 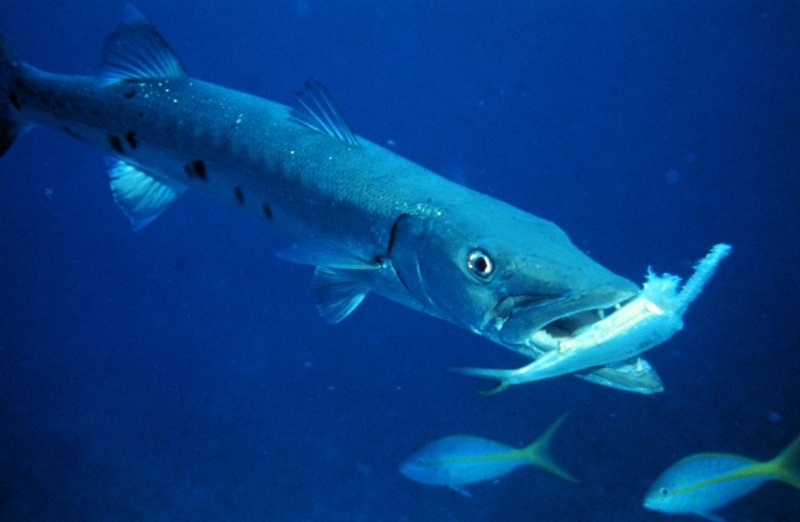 Bara means fierce or dangerous and couta means fish and that Barracuda can also be spelled Barracouta. 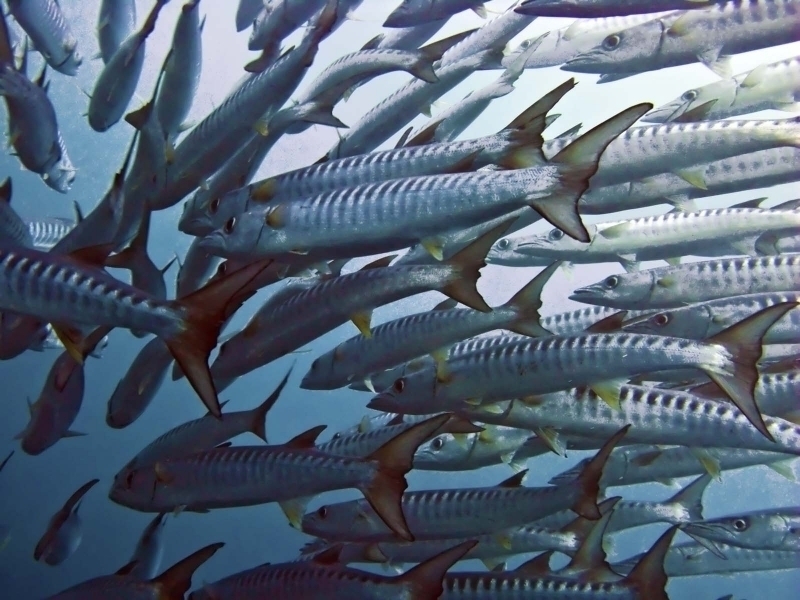 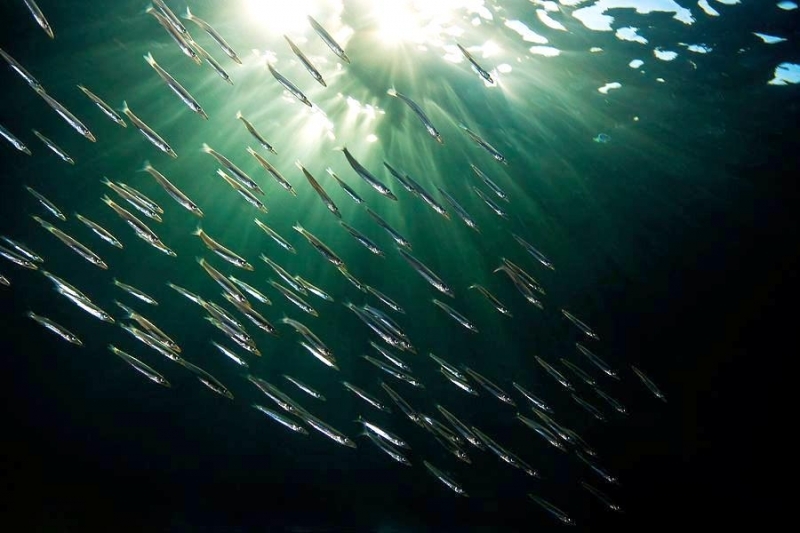 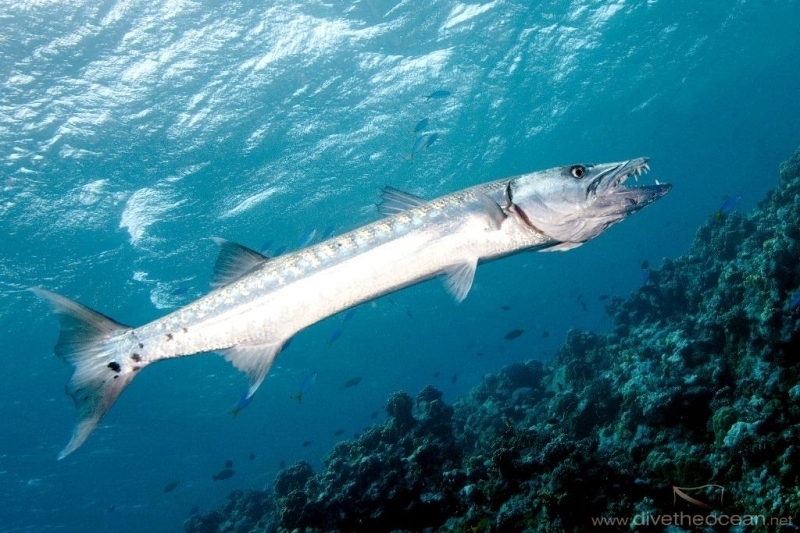 The Barracuda is widely spread across the oceans but is more commonly found in the more tropical regions where there is an abundance of food. 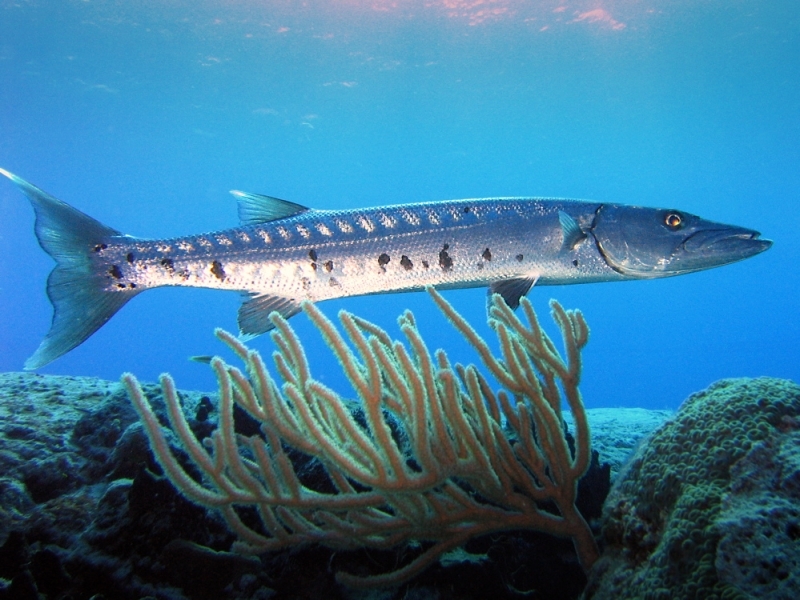 Although Barracuda can be found in the deep ocean, they tend to prefer coastal habitats along continental shelves and close to coral reefs. 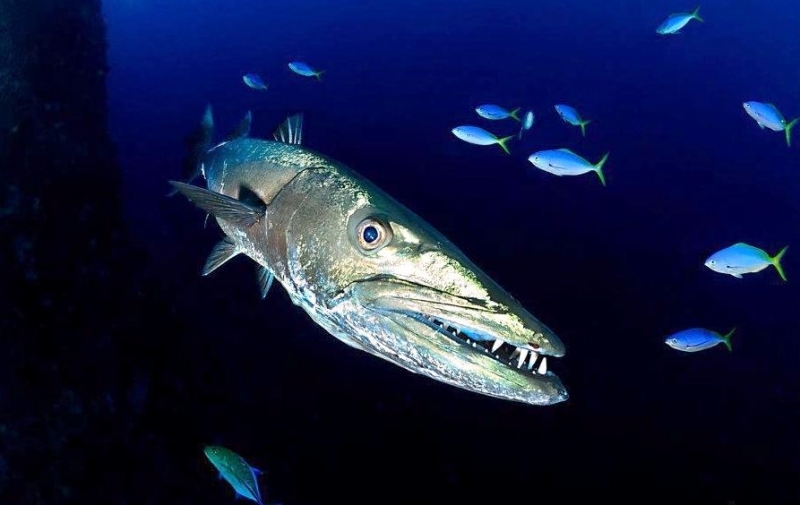 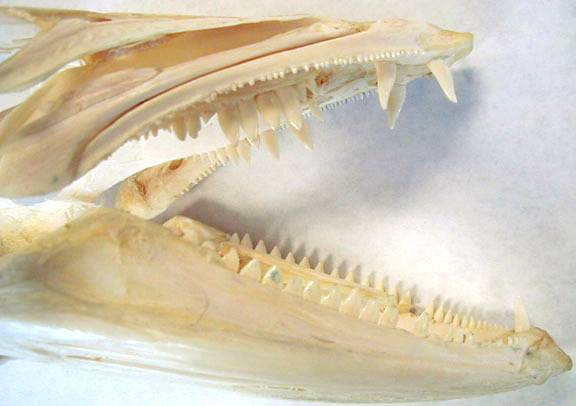 Despite the difference in size & color between Barracuda species, all species of have a similar elongated appearance and pointed head with powerful jaws, containing rows of sharp fang-like teeth used for eating larger prey. 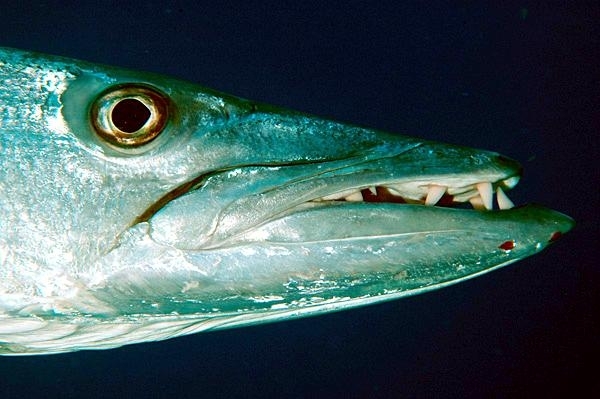 The Barracuda is known to be an aggressive and dominant predator, often relying on the surprise tactic in order to catch it’s prey. 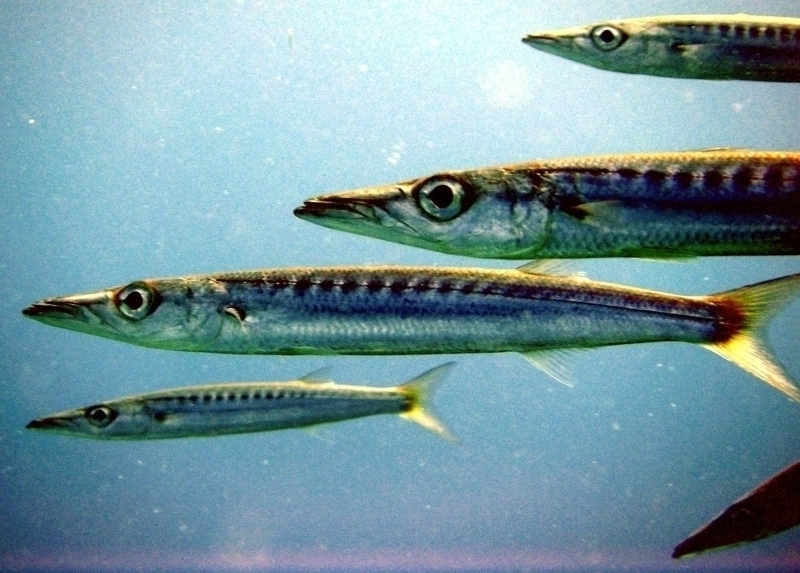 Barracudas are also able to swim at over 40 kilometers per hour in short bursts which they do to overtake prey that may be trying to swim away. 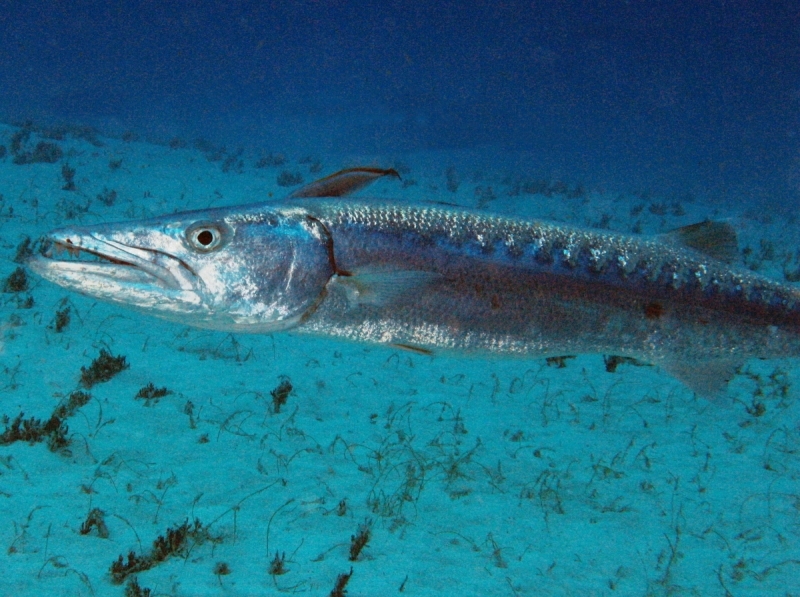 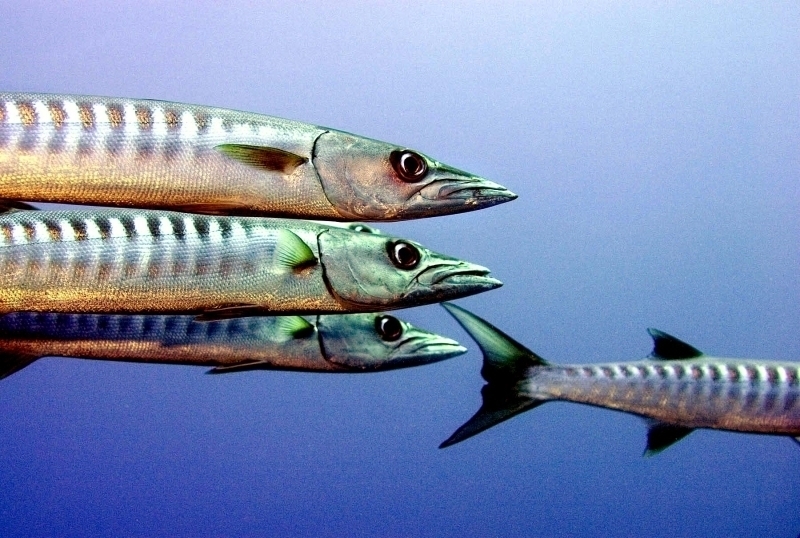 The Barracuda is an opportunistic predator, feeding only on other animals in the surrounding water. 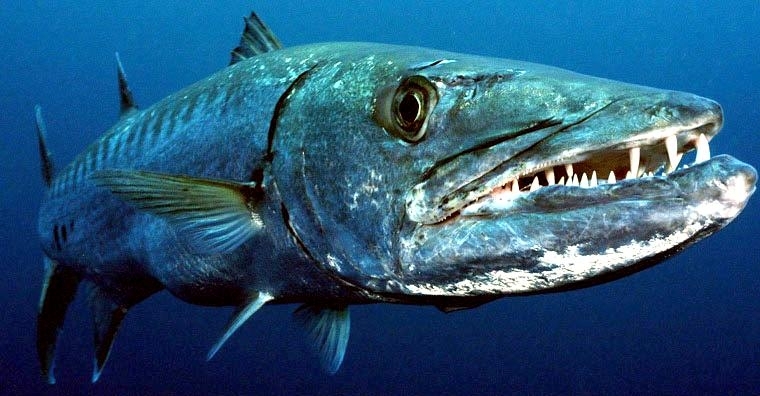 The carnivorous Barracuda primarily feeds on smaller species of fish, marine invertebrates, crustaceans & squid which the Barracuda usually ambushes with tremendous power. 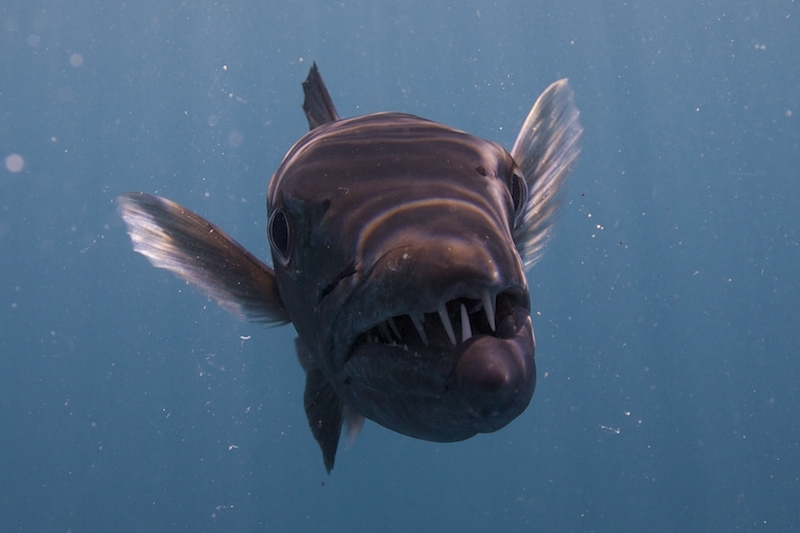 They are distinguished by a torpedo-shaped body, large eyes and mouth, formidable teeth, a double emarginate (notched) tail fin with pale tips on each lobe and the presence of a few scattered black blotches on the lower sides. 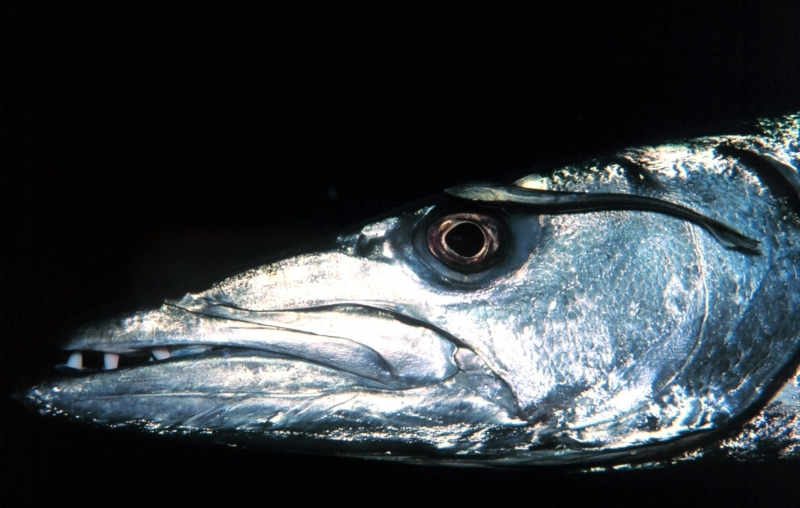 The top of the large head between the eyes is flat or concave. 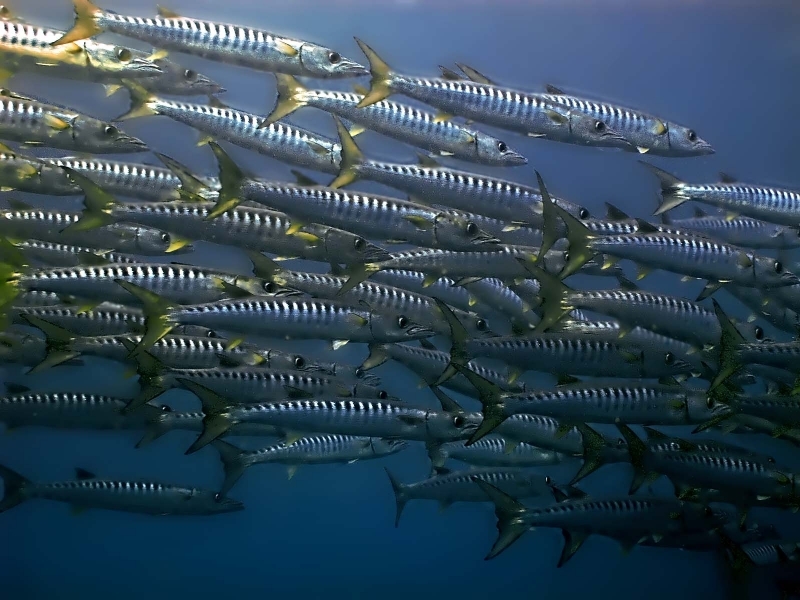 Maximum Length: 2 millimeters; Maximum Weight: 50 kilograms. 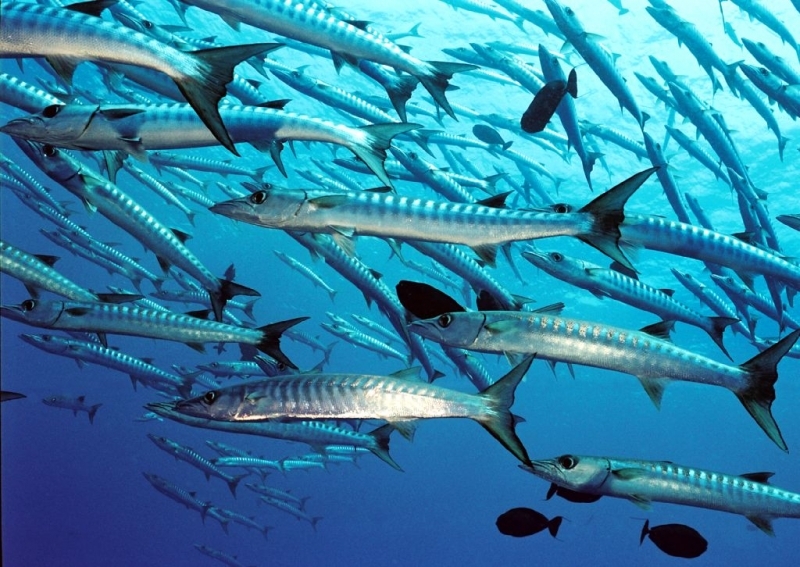 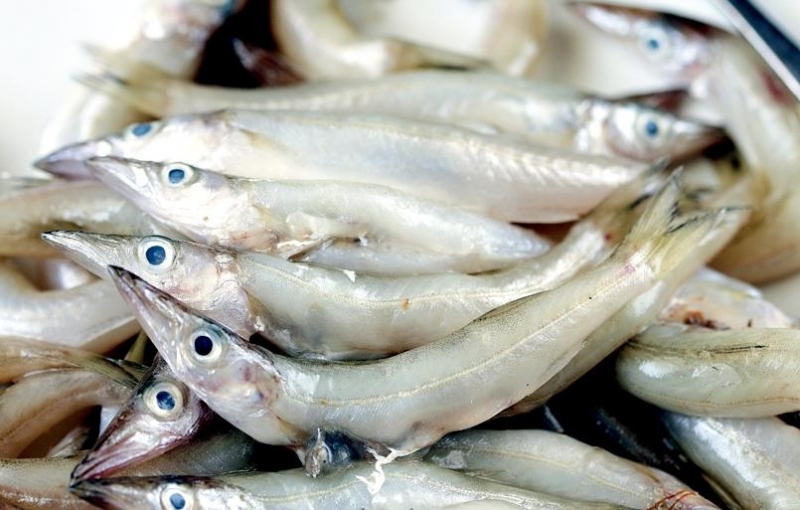 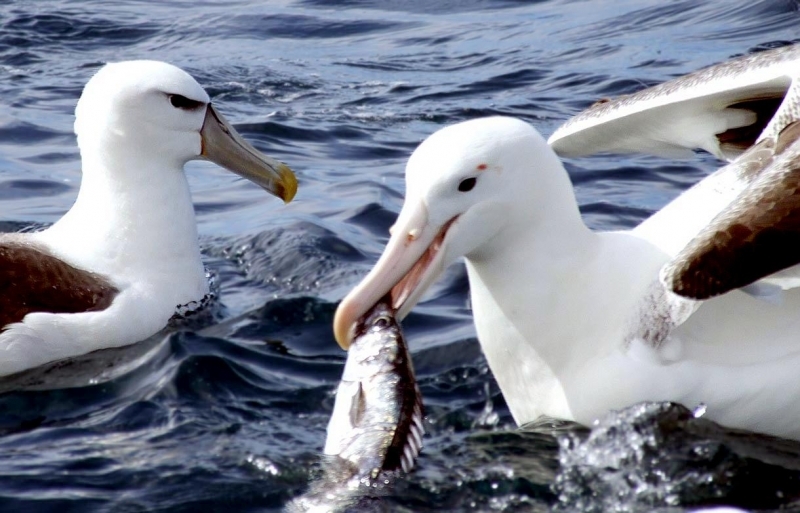 Environment: pelagic; brackish; marine; Depth Range: 0-100 meters. 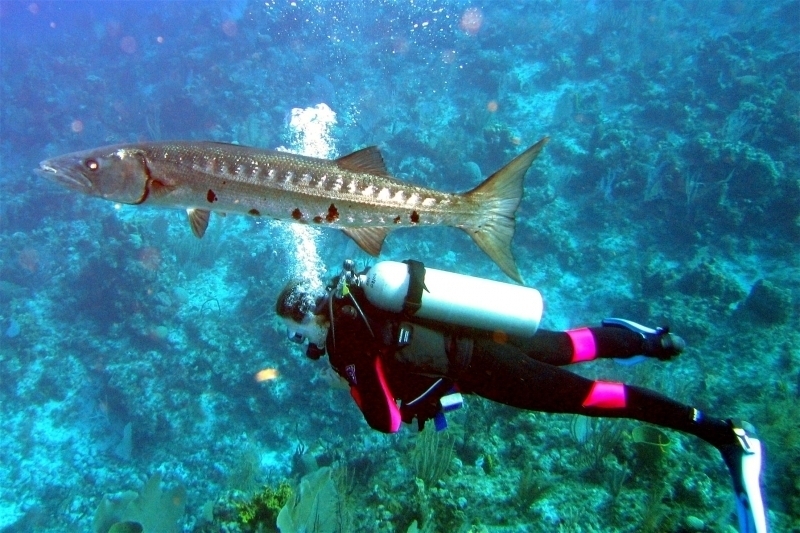 Climate: subtropical; 30°N-30°S. 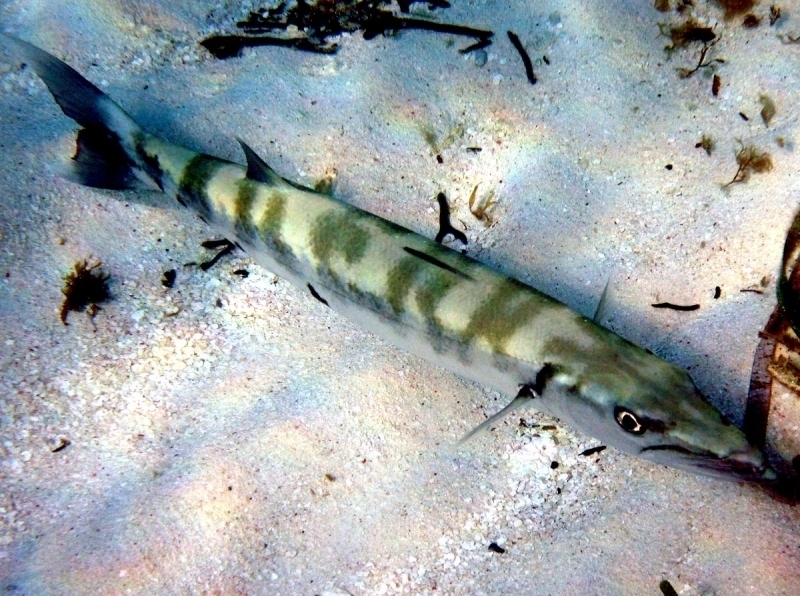 Found predominantly at or near the surface though it has been recorded down to 100 meters. 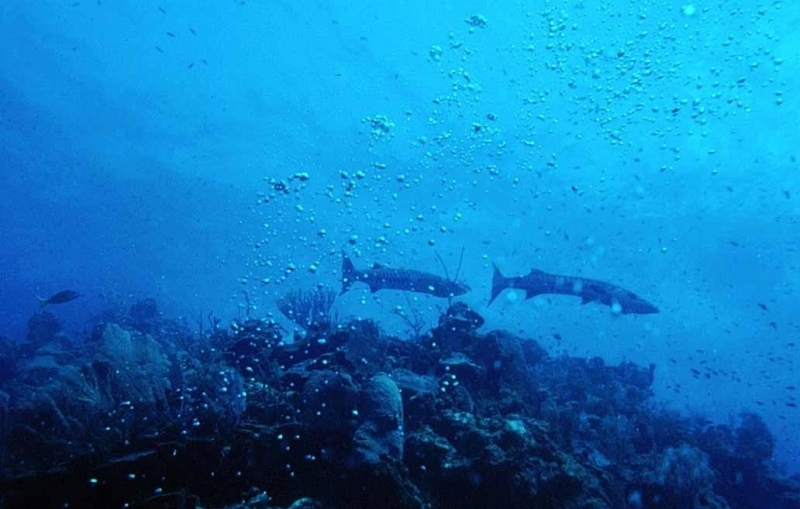 Juveniles occur among mangroves, estuaries & shallow sheltered inner reef areas; adults occur in a wide range of habitats from murky inner harbors to open seas. 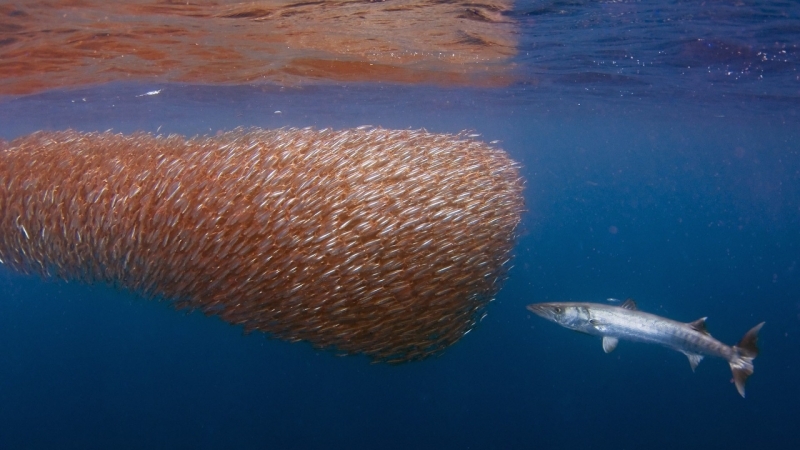 Diurnal and solitary, but can also be found in small aggregations. 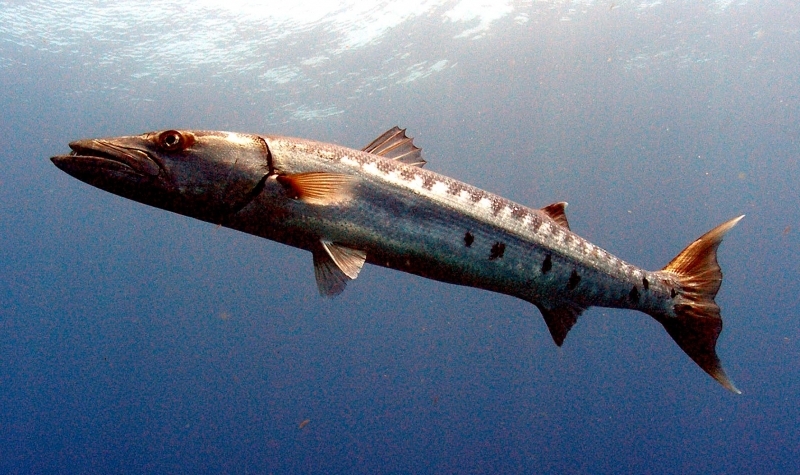 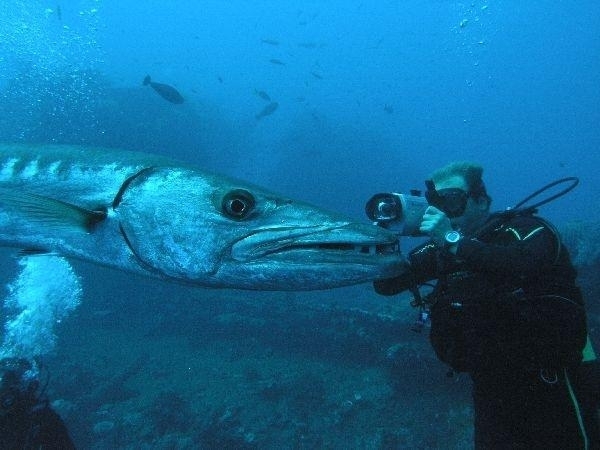 The Great Barracuda is a top predator of reefs and feeds on a variety of fishes, cephalopods and occasionally shrimp. 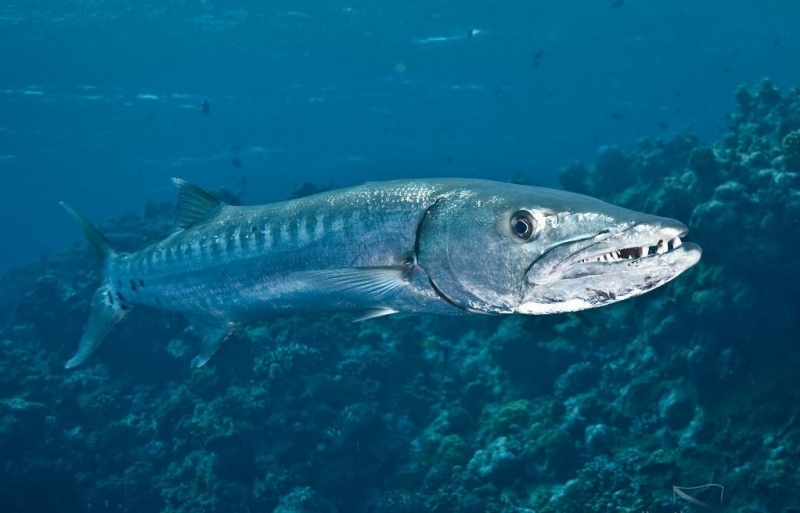 Due to the fact that Barracudas can grow into very large sized fish, it has few natural predators in the ocean besides sharks, large sea birds and Killer Whales. 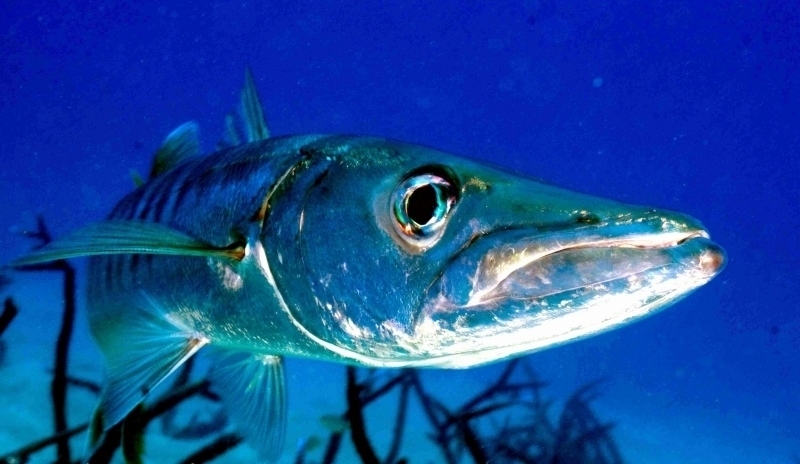 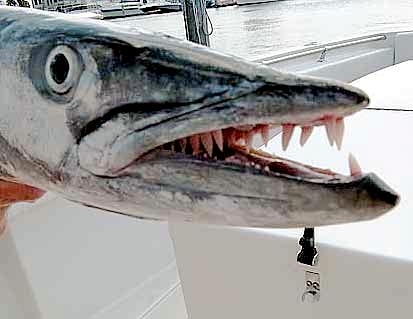 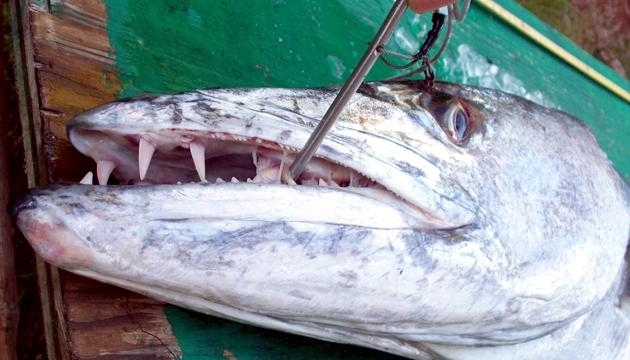 Humans also one of the Barracuda’s main predators as they are hunted & eaten all around the world. 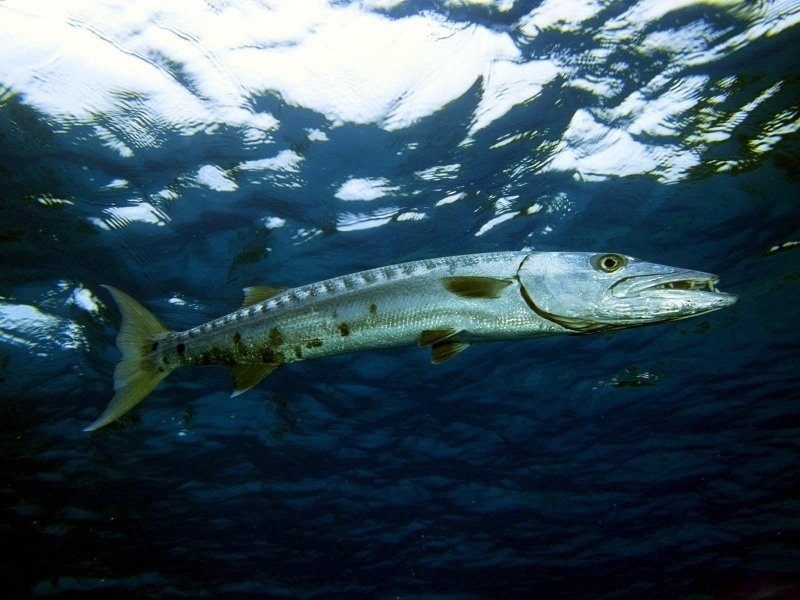 Although little is really known about the reproduction of the Barracuda, females are known to spawn during the spring. 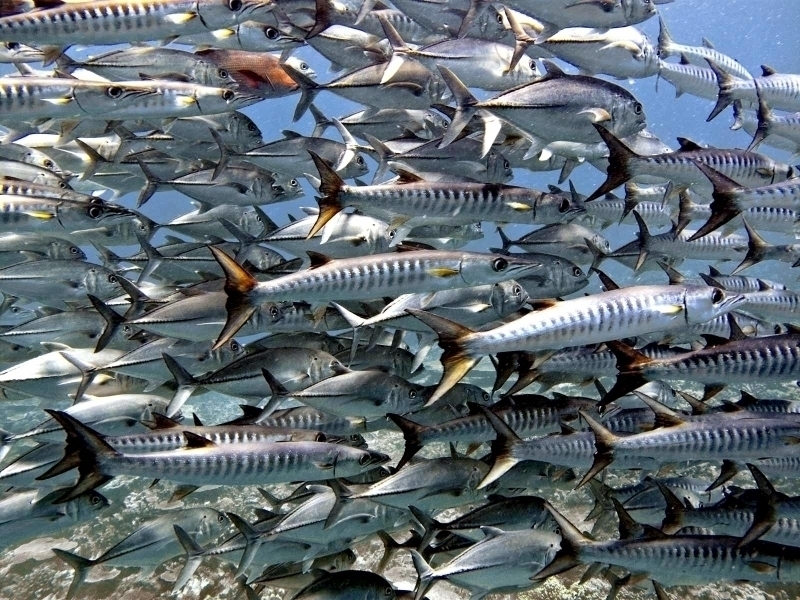 The female releases her eggs into the water which are then fertilized externally. 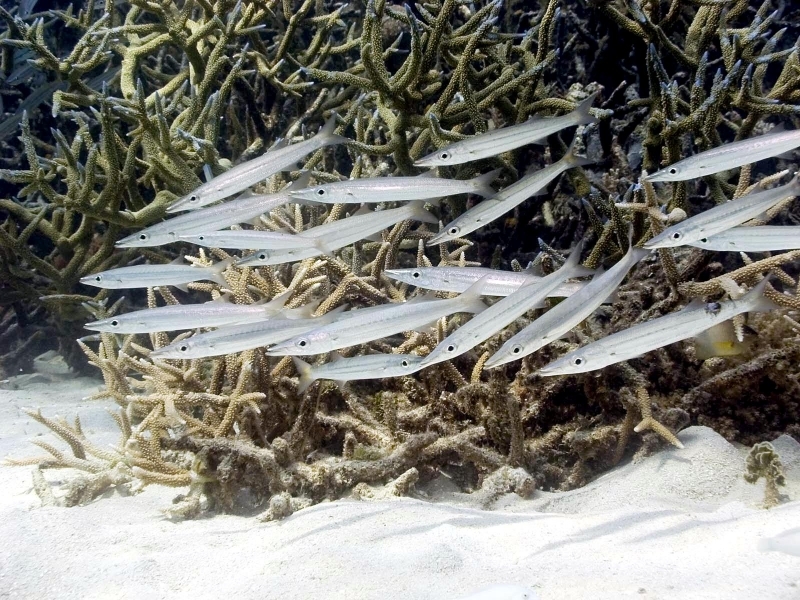 As with many fish species once spawned, the mother has no interest in caring for her young. 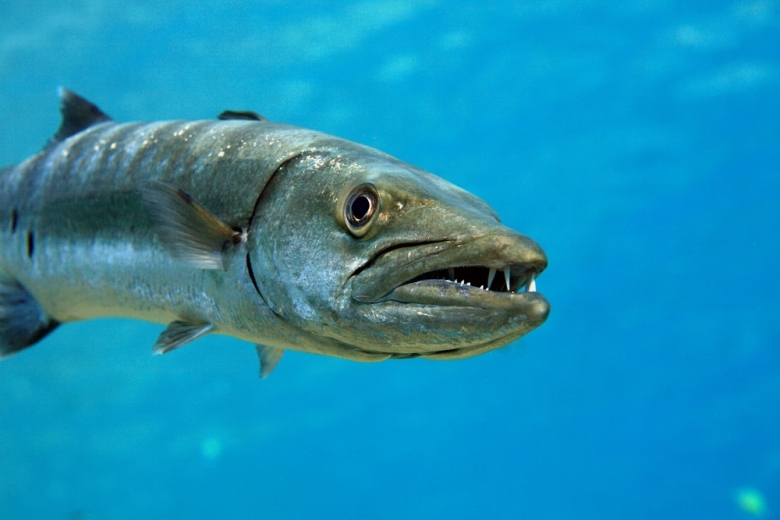 Due to it’s aggressive nature, the Barracuda is one of the most dominant predators within it’s coastal environments and has even been known to act aggressively towards humans diving or snorkeling in the water.